Its impossible not to pull for this guy to overcome devastating college injuries and succeed at the professional level. 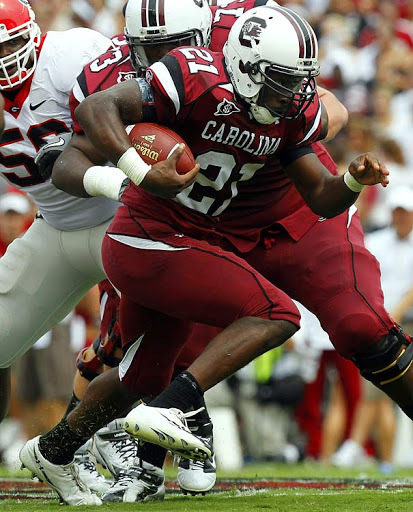 Lattimore sustained a left knee injury in 2011 requiring ACL surgery and a more serious right knee injury in 2012. It is still unclear whether Lattimore will be able to play, and when, in 2013 but he seems determined to do so. One of the more exciting college running backs in recent memory, if Lattimore can regain his pre-injury status (which I think he can) he will dominate just as well in the NFL. The real question is when he will be ready and if a team like the Titans, who desperately need help at the position, will take a chance and be willing to wait.